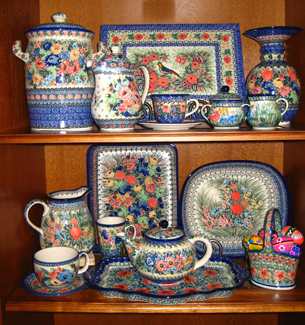 Polish Pottery Pride is a direct importer of authentic Polish Stoneware from Ceramika, Artystyczna, Zaklady Ceramiczne "Boleslawiec", Wiza, and Art Pottery. All factories are located in the village of Boleslawiec Poland. We offer a huge selection in classic patterns and signature patterns (signed by artist). We have over 2000 pieces on display everyday in 60 plus patterns. Owner is from Poland. 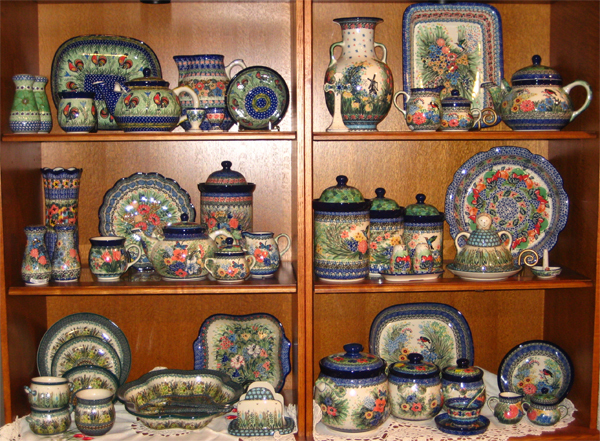 As our name indicates, Polish Pottery Pride, we take pride in selling only the best, the finest quality Polish Stoneware. We offer a wide selection of pottery, but our top sellers are Unikat (U4), which is a supreme range of patterns designed and painted by ceramic artists. To name a few: Teresa Liana, Maria Starzyk, Jacek Chyla, Krystyna Dacyszyn. When an artist achieves the highest level of accomplishment they earn the privilege of creating their own work from start to finish and sign their work. They produce UNIKAT, in Polish meaning “Unique”. All UNIKAT pieces have the artist signature and factory seal on the bottom. The pottery is created from white clay and is lead and cadmium free. The stoneware is safe for use in the dishwasher, microwave and oven (up to 375). Our products are double glazed for durability and appearance. 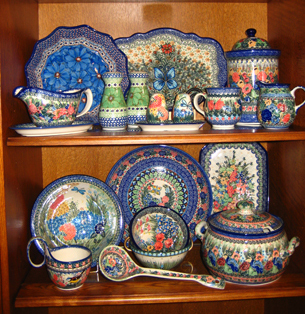 Polish Pottery can be a nostalgic heirloom passed down from generation to generation.